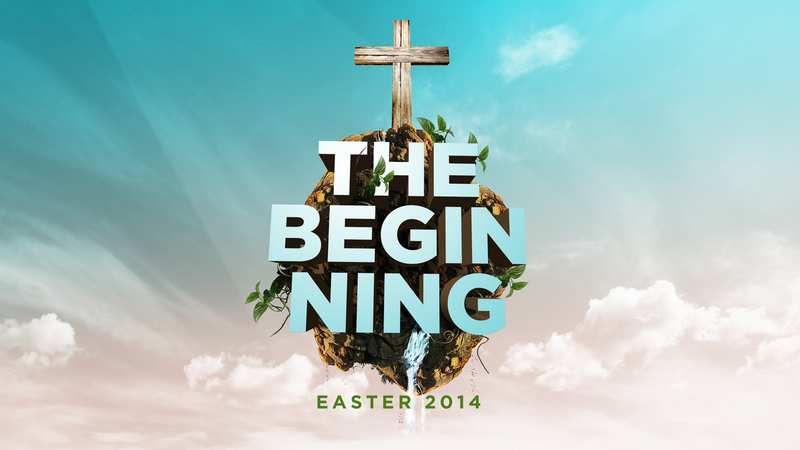 Here are the sermon notes from Easter 2014! Listen to the podcast here. Revelation 21:3…Look, God’s home is now among his people! He will live with them, and they will be his people. God himself will be with them. 4 He will wipe every tear from their eyes, and there will be no more death or sorrow or crying or pain. All these things are gone forever.” 5 the one sitting on the throne said, “Look, I am making everything new!”… 6… “It is finished! I am the Alpha and the Omega—the Beginning and the End. To all who are thirsty I will give freely from the springs of the water of life. 7 All who are victorious will inherit all these blessings, and I will be their God, and they will be my children. V:23 And the city has no need of sun or moon, for the glory of God illuminates the city, and the Lamb is its light. 24 The nations will walk in its light, and the kings of the world will enter the city in all their glory. 25 Its gates will never be closed at the end of day because there is no night there. 26 And all the nations will bring their glory and honor into the city. 27 Nothing evil will be allowed to enter, nor anyone who practices shameful idolatry and dishonesty—but only those whose names are written in the Lamb’s Book of Life. There will be no need for passwords on your computers, you won’t need a security system or even need to lock your doors. In fact, you don’t need doors. There is no need protection. There will be no need of keeping things out or keeping yourself in. Revelation 22:3 No longer will there be a curse upon anything. For the throne of God and of the Lamb will be there, and his servants will worship him.4 And they will see his face, and his name will be written on their foreheads. 5 And there will be no night there—no need for lamps or sun—for the Lord God will shine on them. And they will reign forever and ever. This will be an awesome time! An unbelievable place of love, peace, joy, purity, justice. All the situations that we thought were unresolved, God will resolve them. We have always called that heaven. Heaven. The unadulterated Kingdom of God. A place of wonder. HEAVEN IS FOR REAL! Before the movie and book made it famous. We have always known that HEAVEN IS FOR REAL! But let’s be REAL honest! We live on a EARTH that is FAR different from Heaven! The world that we live in is filled with flaws. We are surrounded by many people that are far from God. It is evident in their life status and situations. When we look at many of the circumstances of our own lives sitting here at PSM this morning, There are aspects of our lives that are not right. Grief plagues humanity as we see many folks struggling for joy, lost in anger and bitterness, lonely. And includes a lot of people who go to church on a regular basis. We live in a broken world. Why? We live in a world that is currently separated from Heaven. BUT IT WAS NOT ALWAYS LIKE THAT. Genesis 1:1 in the Beginning God made the heaven and the earth. You might think that these two realms were disconnected from each other, but no where in Genesis chapter 1 or 2 does it say that earth was down here and heaven is some disconnected thing far away. It does say that there were lightings in heaven to bring light to the earth, but it also says that birds flew in heaven too. They were distinct but interwoven and connected with each other. We see differences like night and day, land and water, fish and bird, man and female, etc, BUT everything was TOGETHER AND GOOD. There is no separation or disconnectedness until chapter 3 when Humans decide to bail on God’s plan. From that point forward there is huge distinction and separation between heaven and earth! For thousands of years, all throughout the Old Testament, the Israelites talked about the end of time when heaven and earth would be resolved again. As you see the entire storyline of the Bible you begin to see a beautiful picture of redemption unfolding. A redemption that is not just the salvation of your individual soul, but a redemption that includes the entire cosmos. Romans 8:18Yet what we suffer now is nothing compared to the glory he will reveal to us later. 19 For all creation is waiting eagerly for that future day when God will reveal who his children really are. 20 Against its will, all creation was subjected to God’s curse. But with eager hope, 21 the creation looks forward to the day when it will join God’s children in glorious freedom from death and decay. 22 For we know that all creation has been groaning as in the pains of childbirth right up to the present time. They called this great day at the end of the world the RESURRECTION. When each of their loved ones died, they reminded themselves of the day when they would be resurrected. They believed a day would come when all of God’s kids would be resurrected and live with him forever. In Matthew 22, Jesus was asked who would be married to who “in the Resurrection”. He used that moment to teach them about resurrection life. The topic of resurrection came up again when Jesus was dealing with the death of Lazarus. The statement in the next verse is what changes everything forever. This world of Heaven that was to be reserved for a future resurrection is now personified in front of their eyes! What a BOLD proclamation! The promise of a new life where everything would be made right. The eternal perfect Heaven and Earth coming together. This resurrection that everyone thought was an event being reserved for the End of Time turns out to be rushing forward from the future to the present time! A beautiful, perfect heavenly space and the broken earthly space were now overlapping in a person. The only way that Jesus could claim to BE the resurrection as a person, is to in himself conquer death himself! There will be a day when the earthly realm is completely restored as it was in the Garden of Eden and is united with the heavenly realm FOREVER. Both spaces will be one in the same. They will be inseparable. 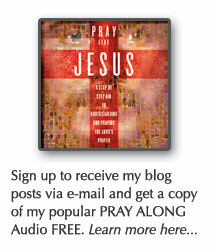 Now, in our present, In the man JESUS CHRIST both of these realms overlap. In Jesus and Because of Jesus, the broken world doesn’t have to wait until the end of time to access the heavenly world. He IS the resurrection and the life. He said the Kingdom of Heaven is HERE. NOW. Mark 1:15 The time is fulfilled, and the kingdom of God is at hand; repent and believe in the gospel. Through Jesus, the Kingdom of God is here. Now. In Mark 1:15, the terms “fulfilled” and “is at hand” literally means that the eternal God is RIGHT NOW BREAKING INTO your circumstances. Today. Jesus says repent and believe. When you repent and believe, you begin living in the overlap of heaven and earth just as Jesus is. There are some of you who are sort of on the outside looking in. You often feel trapped in the world that you live in. It seems as though you are unable to break from the depression. Some of you have job situation that is a dead-end and there seems to be no alternate solution. Others are struggling with a spousal romantic relationship and have given up. The Resurrection brings Good News to you today. The Kingdom of God is Breaking In and Bursting forth in your life. The promised heaven of the future is rushing forwards in time to rescue you heart and mind. Repent and Believe in the work of the Resurrected Christ! What I am trying to say this morning is that your life can reflect the resurrection! Your mind and heart can be at peace today no matter what type of brokenness you are facing on this earth. A repentant heart, submitting to the work of Jesus Christ on the cross and the resurrection of the empty tomb begins to live in a NEW REALM. A place where heaven and earth overlap. 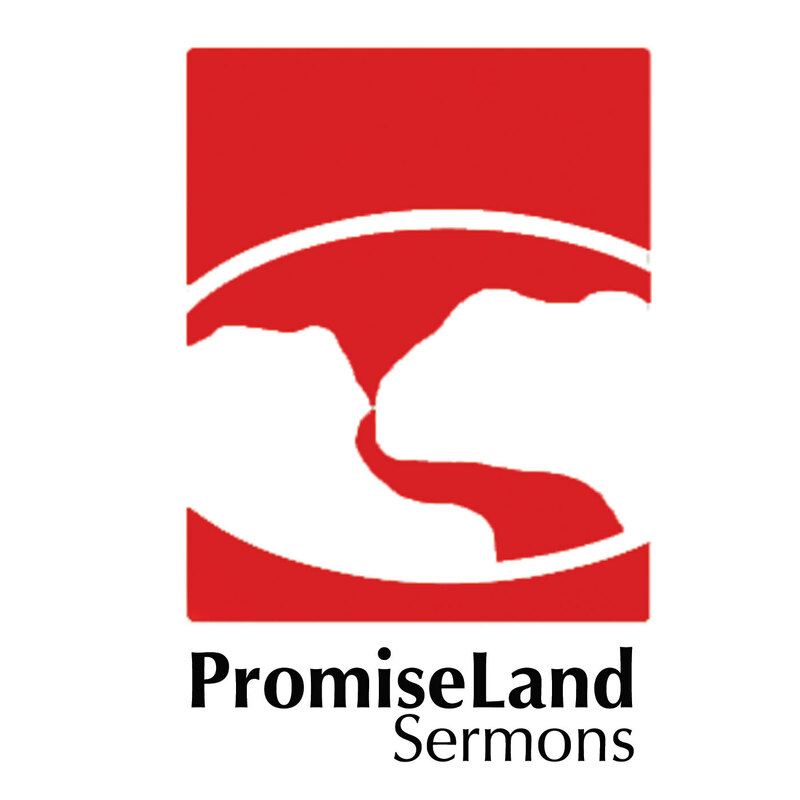 Posted on April 22, 2014, in Sermon Notes, theology and tagged genesis 1:1, john 11:25, kairos, mark 1:15, nt wright, resurrection breaking forth, revelation 21, sermon notes, surprised by hope sermon notes, the beginning. Bookmark the permalink. Leave a comment.